I am not open with my Partner’s family about my diagnoses. They know what they can’t avoid knowing. I mean, it’s kind of hard to hide that their son testified in an abuse case. It’s a matter of public record, so definitely google-able. But, for the most part, I have hidden the impacts of abuse as far as my own PTSD and dissociation. I have never shared that I have ADHD. Though they aren’t Evangelical assholes like his extended family, they are stuck in a culture and a generation that doesn’t understand – or perhaps should be better stated as doesn’t choose to understand – mental health, trauma or neurodiversity. I mask with them as an automatic, unconscious defense mechanism. The most empathetic people I have met about other diagnoses are the hardest on themselves for the same traits. ADHD shares most of the social, emotional, executive functioning and sensory issues of ASD. The literature took awhile to catch up to realizing it, but we absolutely do mask, too. When I first started blogging, I shared the same hangups, but two “traditional” spoonie diagnoses and a whole lot more systemic abuse later and I will argue down anyone who claims that ADHD isn’t a spoonie diagnosis, or that it doesn’t share an equal place under the neurodiversity tent with ASD. After the inevitable initial rejection sensitivity spiral about how maybe I wasn’t really any good at improv, I realized something. Of course they don’t see me as funny. “Class clown” is one of the masks folks with ADHD often adopt to protect themselves from hurtful comments about their neurodiversity. But, it isn’t the only one. Mine has always been to double down on the things I am most afraid that my ADHD makes me unable to succeed at: the peer-reviewed scientist, the polite peacemaker around the family table, and the perfectionist. You can’t wear two masks at once, and it takes enough work to maintain the facade I usually adopt around those who don’t truly know me that there’s no space left to be silly. There’s no space left to reveal multiple sides of me, lest I reveal the things I’m most afraid will be used against me, too. I love that the campaign to #TakeTheMaskOff has become a cause célèbre for the ASD community. It’s about time. I wish, though, that it would be formally extended to the entire neurodiverse community. 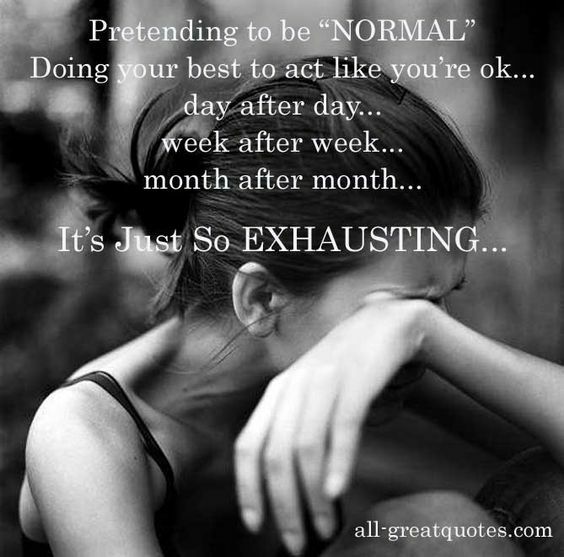 We all mask, not just those with ASD diagnoses. Yet, my own type of neurodiversity hasn’t quite claimed our right to the campaign yet. I think we need to, for the sake of our own mental health and self-esteem. I’d like to imagine a day wherein I have the self-esteem to share the name of my indie troupe, invite folks to buy tickets to our events on Eventbrite and share mouthwatering pictures of juicy turkeys without feeling like it risks ripping off a mask that I still need to survive in this world. I’d like to be able to eventually #TakeTheMaskOff, too, but that means first making it clear that I and others with ADHD have to wear one to function in neurotypical society, too. Image Text: Celebrate neurodiversity with rainbow infinity symbol. There’s a great Jim Morrison quote about unmasking. You can’t wear 2 masks at once. So true. Congregations on the courage to take the stage! Very cool!! !